I always forget how damned good it is Cyrus Chestnut. Not much seems to stand out among pianists of his generation, but there is no doubt that is one of the best. It also is among the few who have taken less common influences (moving comfortably between tradition and modernity) and one that sounds more "black." 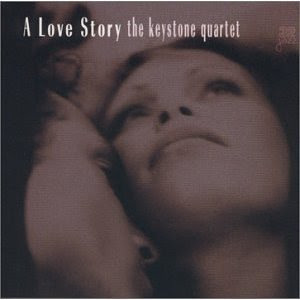 The Keystone Quartet is a group assembled by producer Todd Barkan for this recording, which was intended for the Japanese market (later released in the U.S. the 32 Jazz label ). What's "quartet " is only for half of the disc, as the saxophonist Eric Alexander appears only on odd subjects. The rest is played by the trio of Chestnut , George Mraz and Lewis Nash , all perfect. Alexander is one of the most traditionalist of his instrument and does it very well, but on issues Chestnut trio shines. I do not know if it's because the peace of mind the lack of leadership, but the pianist plays with great relaxation, keeping the listener's attention without problem. The cover is ... Well, the disc is fine. Note 2: Clicking on the cover of the album you can listen to Spotify (by country of residence).